Take a trip to the past with this large yellow gold estate ring. Gorgeous round emeralds and diamond.. 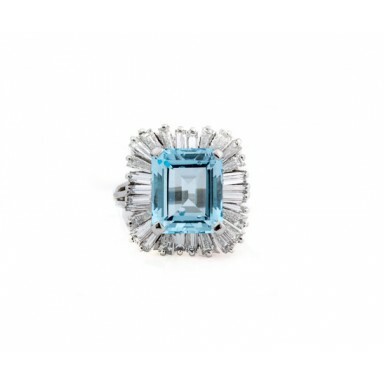 Inspired by the ballerina rings of yesterday, this emerald cut light blue topaz is adorned with a fl.. Explore the world of colored diamonds with this Chocolate Diamond Ring. This ring features a chocola.. 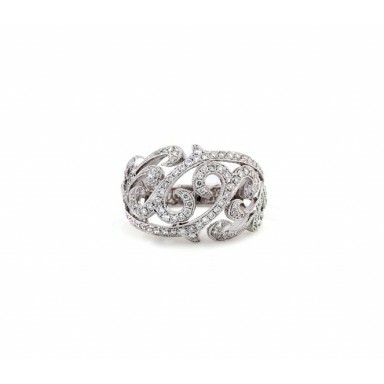 This fun twisting freeform band is encrusted with diamonds halfway around. The tapering shank is com.. 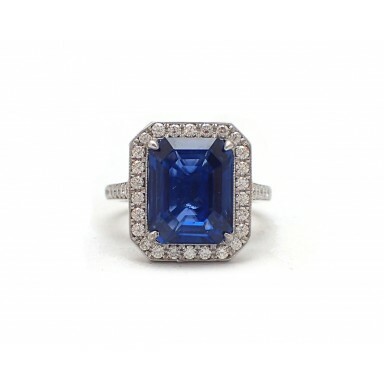 This magnificent Sri Lankan sapphire is is both gorgeous in color and brilliance. The GIA certified .. This sapphire cluster ring features nine central sapphires appearing as one large center s.. 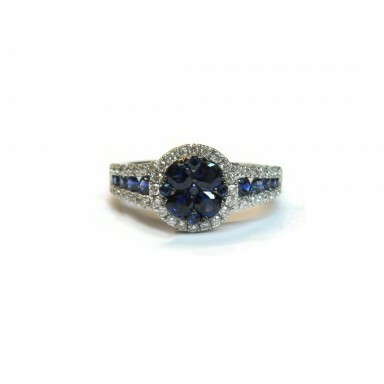 This beautifully unique ring features a vibrant center triangular Tanzanite set in a curvalinea.. 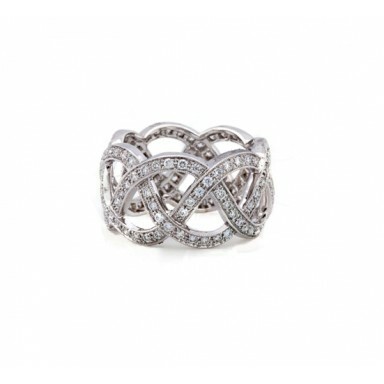 This wonderful ring can serve as a wedding band or simply a fun ring. Its distinctive woven pattern .. 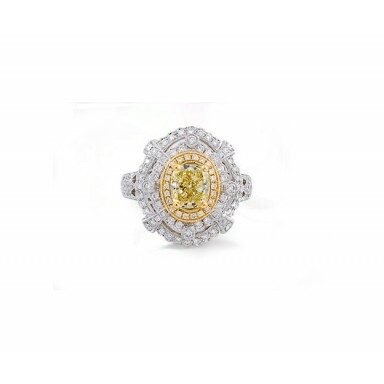 This stunning engagement ring features a 2.04CT fancy yellow radiant cut diamond, showcased by a dou.. 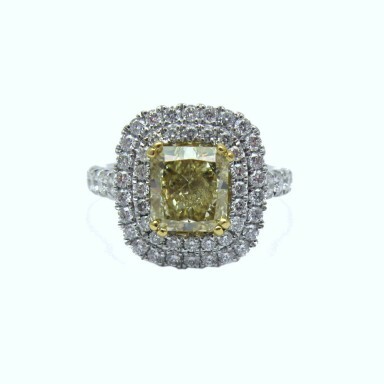 This unique ring features a GIA certified fancy yellow cushion cut diamond in an elaborately de.. 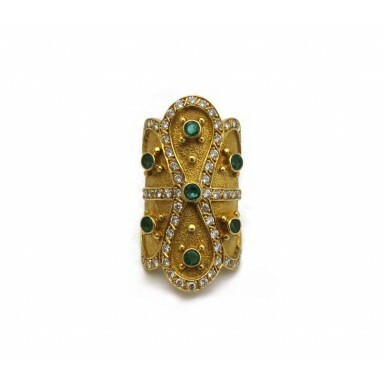 This fun estate ring is cast in 14K yellow gold and colored with blue and green enamel. An interesti..